As a young boy, whenever I would go to the golf course with my father, he would always let me stop by one of the fairways to look through the fence at the big airliners parked in and around the hangers. The Sacramento Municipal Airport was just adjacent to the Bing Maloney Golf Course. I cannot remember a time in my life that I was not intensely interested in airplanes. I remember another time, also when I was very young, when we took my father to the airport so he could fly to a dental convention. This was back in the 50's when all the airliners had piston engines with propellers. How I marveled as I watched that big four-engine airliner take off and take my daddy someplace far away! When I reached the age of eight, I became friends with a Chinese man, who was very kind and patient with me. Tommy Chan worked as a stock clerk at the local grocery store. Tommy was a champion model aircraft builder and flyer! Tommy could tell I had a bad case of aviation fever, so he asked my parents if he could help me build my first model airplane at his wonderful shop behind his house. With my parents approval, and after several weeks, I had watched Tommy do most of the work on my first gasoline-powered, U-control model airplane (I think it had an .049 engine). How excited I was to watch Tommy fly the little plane the next Saturday morning at the parking lot behind Hughes Stadium!! With some coaching and encouragement and several crashes, I finally learned how to take off, fly, and land the little plane--every landing with a model is a dead-stick landing, when the engine runs out of gas. For many years, until I was eighteen years old, I built and flew model airplanes--about one plane each year. Then, on my eighteenth birthday, just a month or so after I graduated from McClatchy Senior High School, Sacramento, California, my parents gave me a real flying lesson in a real airplane! It was a 1956 Cessna 150 with a hand-lever between the seats for the flaps. How I loved that first lesson, which led to more lessons. And by November of that year (1965), I was the proud recipient of a Private Pilot s License! There is no way to explain the fulfillment I felt with that achievement. 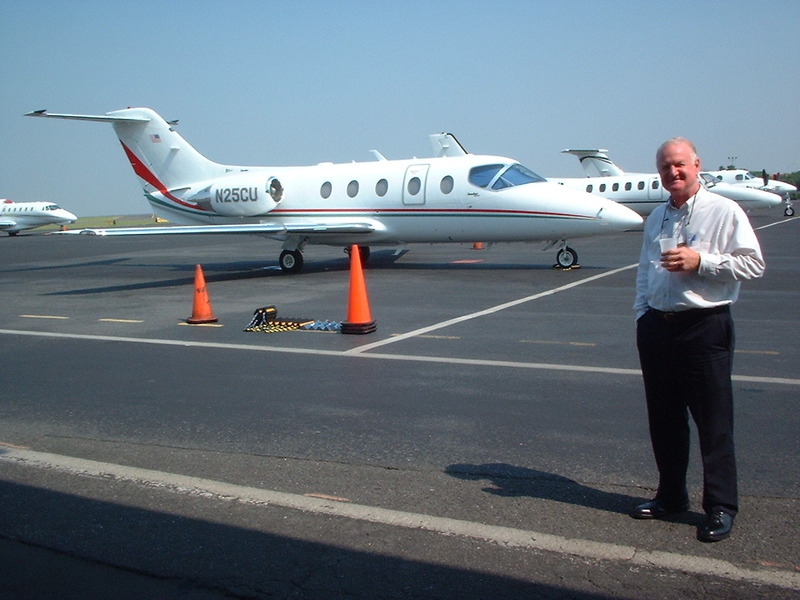 As I worked my way through college there in Sacramento, majoring in Biology and competing in intercollegiate sports, I took every opportunity to go to the airport to rent a small Cessna and practice my piloting skills; sometimes a friend or a coach or one of my family would go with me. Whenever I could afford it, I would enroll in a ground school to learn more about instrument flight or commercial aviation , and sometimes I would even splurge and take some more dual to get some real instrument time! It was a beautiful summer night--stars shining--I had taken a walk in the school yard with my collie dog. I lay down on the grass to just look up into that beautiful sky. I wondered if there was a God as I looked up into the heavens. As I considered the vastness of the universe, the order and apparent design before my eyes, I remember thinking, there must be a Creator! And I remember saying out loud, "God, if you are up there, I want to know you." I was twenty years old at this time. The very next night, I had a desire to go visit my friends, Dwight and Mary Lou, whom I had not seen for almost a year. I called Dwight, and he said to come over. 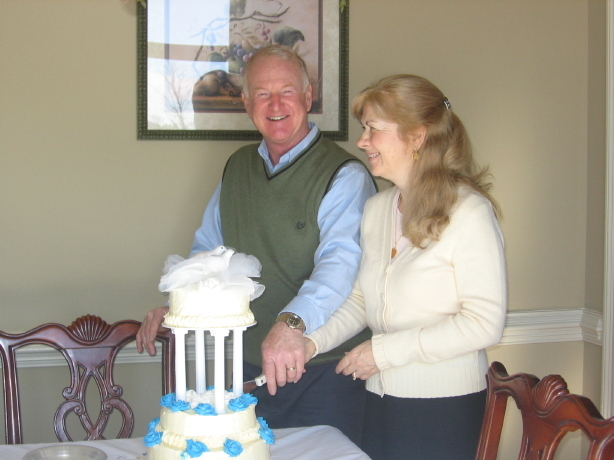 When I arrived, Dwight and his wife visited with me in their living room; we talked mostly about my girlfriend, until Dwight brought up a discussion about the Bible. I must say that I was cautious and somewhat skeptical at first, but the more they talked the more I could see that they were talking to me about God and Jesus Christ, not about religion or some particular denomination. Instinctively, I knew that simply joining a church would not make me right with God; I had several people try to get me to join this church or that denomination, claiming theirs to be the one true church. Somehow, I knew that idea was wrong. But here, Dwight and Mary Lou, for the first time in my life that I could remember, were telling me how to know God, how to know where I will go when I die, and how I could have God's forgiveness without having to join some church or denomination first! And they were showing me the way from the pages of the Bible. It was actually pretty exciting. Dwight showed me from the Bible, the book of John, chapter 1, that Jesus is called the Word. And that the Word is God, and that the Word became flesh and dwelt among us. This was real communication! For the first time in my life, I understood that Jesus is God! I had gone to Sunday School as a child, but the church I attended somehow failed to get this across to me; or maybe I just wasn't paying attention. But, I was getting the picture very clearly this night. Dwight directed my attention to verse 12 (still John, chapter 1): "...as many as received Him (Jesus Christ), to them gave He power to become the sons of God, even to them that believe on His name." Another important verse Dwight showed me was in the same book, chapter 14, verse 6: "Jesus saith unto him, I am the way, the truth, and the life: no man cometh unto the Father, but by me." Dwight explained that Christ would have shed His blood and died for me even if I had been the only person on earth--this helped me to see how personal God's love is for me. Then, he asked me if I would like to receive Christ as my own personal Savior. I nodded yes, and we had prayer together, asking the Lord Jesus Christ to come into my heart, forgive my sins and give to me the gift of eternal life. That was more than 39 years ago, and I have never been sorry that I made that decision...not once. Surely God heard that little prayer in the school yard the night before; He drew me lovingly to Dwight and Mary Lou's house, and gave my friends the sensitivity and boldness to share the Gospel message with me that evening; and as I responded in faith to the truth of Scripture, God accepted me into His family. What a joyous occasion that was! I went home that night and read the Bible until 1:00 a.m. and really understood what I was reading for the first time in my life! The next day when I arose and went outside, everything seemed brighter and the colors more vivid. I had a new desire to clean up my vocabulary. I felt like a new man! Dear Reader, if you have never come to know God and the joy of knowing true forgiveness of sins and an assurance of a home in Heaven, won't you consider receiving Christ the Lord into your heart as I did in 1967? You'll never be sorry--on the contrary, you'll be forever glad! May God bless you. Editor's note: Nick Johnson is a corporate jet captain for a company in Birmingham, Alabama. Used with permission from EyeLight Media. If you’ve never had a true and personal relationship with Jesus Christ you can right now by clicking here. Not quite ready to start your relationship with Christ? Click here to ask us any questions you may have. Would you like us to contact the author of this story for you? Click here to let us know and we will see if they are available.